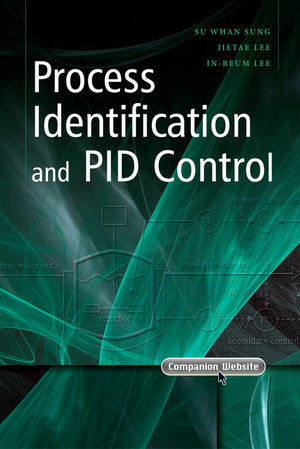 Process Identification and PID Control enables students and researchers to understand the basic concepts of feedback control, process identification, autotuning as well as design and implement feedback controllers, especially, PID controllers. The first The first two parts introduce the basics of process control and dynamics, analysis tools (Bode plot, Nyquist plot) to characterize the dynamics of the process, PID controllers and tuning, advanced control strategies which have been widely used in industry. Also, simple simulation techniques required for practical controller designs and research on process identification and autotuning are also included. Part 3 provides useful process identification methods in real industry. It includes several important identification algorithms to obtain frequency models or continuous-time/discrete-time transfer function models from the measured process input and output data sets. Part 4 introduces various relay feedback methods to activate the process effectively for process identification and controller autotuning. Su Whan Sung is an Assistant Professor of Chemical Engineering at Kyungpook National University, Korea. His main research interests are PID controllers, autotuning, and system identification. He has spent over 15 years researching these topics, and has published 50 related papers in SCI journals. His previous work experience includes time as a Senior Researcher with LG Chem and research professorships at Korea's top engineering universities: KAIST and POSTECH. He holds an M.S. and PhD in Chemical Engineering from POSTECH. Part One Basics of Process Dynamics. 1 Mathematical Representations of Linear Processes. 1.1 Introduction to Process Control and Identification. 1.2 Properties of Linear Processes. 1.4 Transfer Function and State-Space Systems. 2.1 Simulating Processes Composed of Differential Equations. 2.2 Simulating Processes Including Time Delay. 2.3 Simulating Closed-Loop Control Systems. 2.4 Useful Numerical Analysis Methods. 3 Dynamic Behavior of Linear Processes. 3.1 Low-Order Plus Time-Delay Processes. 3.2 Process Reaction Curve Method. 4.1 Structure of Proportional–Integral–Derivative Controllers and Implementation in Computers/Microprocessors. 4.2 Roles of Three Parts of Proportional–Integral–Derivative Controllers. 5.2 Simple Process Identification Methods. 5.4 Internal Model Control Tuning Rule. 5.5 Integral of the Time-Weighted Absolute Value of the Error Tunning Rule for a First-Order Plus Time-Delay Model (ITAE-1). 5.6 Integral of the Time-Weighted Absolute Value of the Error Tunning Rule for a Second-Order Plus Time-Delay Model (ITAE-2). 5.7 Optimal Gain Margin Tuning Rule for an Unstable Second-Order Plus Time-Delay Model (OGM-unstable). 5.8 Model Reduction Method for Proportional–Integral–Derivative Controller Tuning. 5.9 Consideration of Modeling Errors. 6 Dynamic Behavior of Closed-Loop Control Systems. 6.1 Closed-Loop Transfer Function and Characteristic Equation. 6.4 Gain Margin and Phase Margin. 7.4 Proportional–Integral–Derivative Control using Internal Feedback Loop. 8 Process Identification Methods for Frequency Response Models. 8.2 Frequency Response Analysis and Autotuning. 8.6 Frequency Response Analysis with Integrals. 9 Process Identification Methods for Continuous-Time Differential Equation Models. 9.1 Identification Methods Using Integral Transforms. 9.2 Prediction Error Identification Method. 10 Process Identification Methods for Discrete-Time Difference Equation Models. 10.1 Prediction Model: Autoregressive Exogenous Input Model and Output Error Model. 10.2 Prediction Error Identification Method for the Autoregressive Exogenous Input Model. 10.3 Prediction Error Identification Method for the Output Error Model. 11 Model Conversion from Discrete-Time to Continuous-Time Linear Models. 11.1 Transfer Function of Discrete-Time Processes. 11.2 Frequency Responses of Discrete-Time Processes and Model Conversion. 12.1 Conventional Relay Feedback Methods. 12.2 Relay Feedback Method to Reject Static Disturbances. 12.3 Relay Feedback Method under Nonlinearity and Static Disturbances. 12.4 Relay Feedback Method for a Large Range of Operation. 13 Modifications of Relay Feedback Methods. 13.1 Process Activation Method Using Pulse Signals. 13.2 Process Activation Method Using Sine Signals. Appendix Use of Virtual Control System. A.1 Setup of the Virtual Control System.